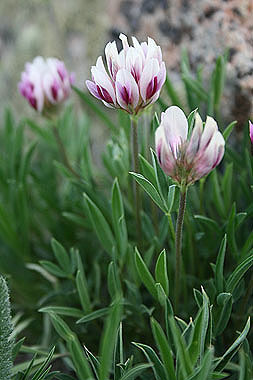 Trifolium dasyphyllum grows in clumps in alpine environments. Flowering stems are leafless and 1 to 6 inches tall. The banner (large upper petal) is white or very pale. 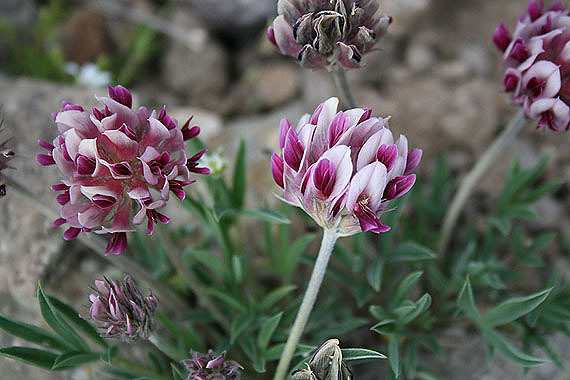 Compare to Trifolium parryi, which has a lavendar or rose colored banner.